Project Details: Fetch! 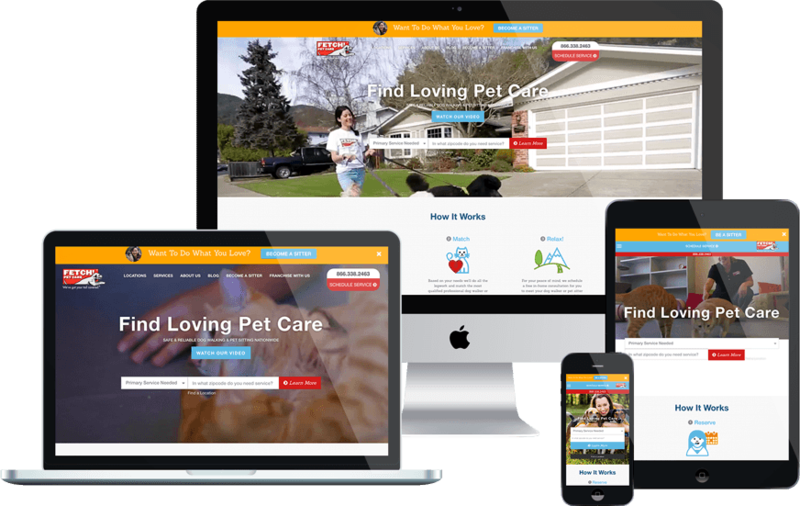 Pet Care | What can IVIO Agency do for you? Fetch! Pet Care is the nation’s largest and most trusted franchise provider of professional pet sitting and dog walking services, serving thousands of pets and pet parents from coast to coast. Over our multi year relationship we developed a custom franchise management system, developed a new site and deployed advanced analytics. When it comes to all things technical, we’ve got their tail covered.